We offer Cup & Meal Tray Sealer ideal for packing of industries, such as medicine, food, beverage of pearl milk tea, bubble black tea, fruit, soybean milk, soup of lunch box, cup water etc. 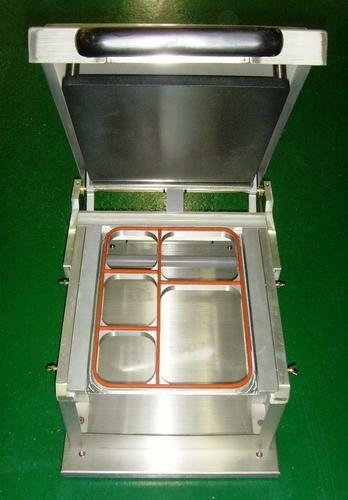 Cup sealer can be tailor-made for sealing container in all kinds of shapes. We offer Single Compartment Tray Sealer ideal for packing of refrigerating, seasoned food, microwave, moisture resistant & carry-out food etc. Single Compartment Tray Sealer are very useful for restaurants, shops, supermarket, home & factory. We offer Multi Compartment Tray Sealer ideal for packing of refrigerating, seasoned food, microwave, moisture resistant & carry-out food etc. Multi Compartment Tray Sealer are very useful for restaurants, shops, supermarket, home & factory.